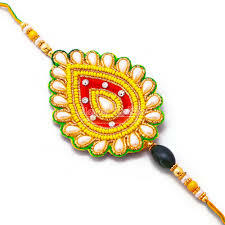 Rakhi used to be a fun festival during my childhood time. Days before the Rakhi used to be full of planning and putting heads together for buying so many Rakhies and sweets. Although, we are two sisters only, but all my cousins used to come to my parent’s place to get Rakhi tied. I always feel those were beautiful childhood days when all my elder and younger cousins used to willingly come and give us gifts and cash. They had no problem making us happy on the day of Rakhi, despite they have their own sisters. The whole day used to go in making fun with them and putting our gifts in the almirah (confession, it was such a joyful moment whenever I received a gift on Rakhi ). Soon our lives changed. Cousins didn't come to us on Rakhi. Elder brothers started feeling it a waste of time to visit us. We understood, they had the pressure of higher studies. So we both sisters started tying Rakhi to each other and to our father. Then some of my Rakhies went completely gloomy as none of the brothers visited us except one of my younger cousins, who came due to the pressure of my parents. We were in habit of buying lots of sweets and number of Rakhies. And when they were unused, I felt sad. I even started hating this festival deep in my heart. Although with time I gained this wisdom that Rakhi is not meant only for a brother. Sisters can also tie Rakhi to each other. Howbeit, I can never ignore other sister-brother duos enjoying the day with so much of regalement. I have written my Rakhi experience not because I had bitter memories and I still hate it. No!! I still adore the purpose and rationale behind this love filled festival. It’s just that, for me and my sister, things were a little different. And with time, we learned to live with it. Despite the fact that I have not celebrated this festival much since last many years (I am honest here), I am not seeding my thoughts in my son’s mind. As a mother, it’s my responsibility to introduce him with stories and facts behind this festival. I would do that for sure. Vibhu is close to 3 now and he has started understanding the purpose behind the things we do every day in the life. He now understands in his own kiddie logic that we should bow to the God, we should help others and we should not hurt anyone. We, as his parents, also try to make him understand the importance of customs and festivals. As of now, he understands that as his Didi loves her so much, she gets jazzy/musical Rakhi and chocolates for him on Rakhi. I guess for his age, this logic is pretty much fine 😃. 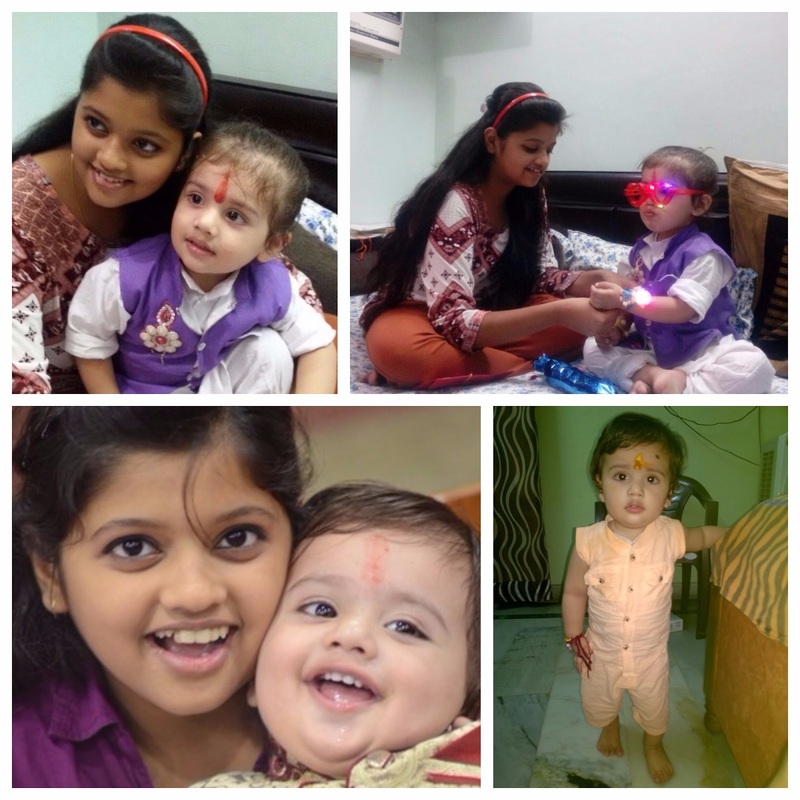 Yes Shipra I understand your sadness.We were two sisters too .We went to our maternal uncles home where all the aunts used to come.But the cousin brothers rarely turned up even though we went bearing Rakhi and gifts.Yearly disappointments ,meant we stopped going or celebrating this festival!Now wuth my daughter I too am trying to teach her the festivals.Thank yu for writing with us on #MondayMommyMoments.